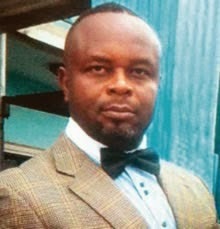 A 48 year old businessman, Mr. Henry Dimoji was crushed to death during a police stop and search exercise along the Mile 2 axis of Lagos state on April 30th. Punch reports that the deceased and his wife were returning from a wake keeping service in Festac town when they were stopped by a team of 4 policemen attached to the Rapid Response Squad, Ikeja for an unapproved stop and search exercise. According to his wife, Linda, who was with him, when he was stopped, he appealed to the policemen for him to park properly on the road but they insisted that he comes down and open his booth on the road. As he came down from his car, a tanker loaded with diesel lost control and dragged the deceased along the road, crushing him to death. The policemen fled the scene of the incident. Two of the policemen have since been arrested while two of them are currently at large. “When Dimoji got to the checkpoint, the policemen asked him to park and open his booth, but they did not allow him to park properly. He told them to allow him to park when one of them brought out a gun and threatened to shoot if Dimoji disobeyed. He then came out of the car to talk to the officers.